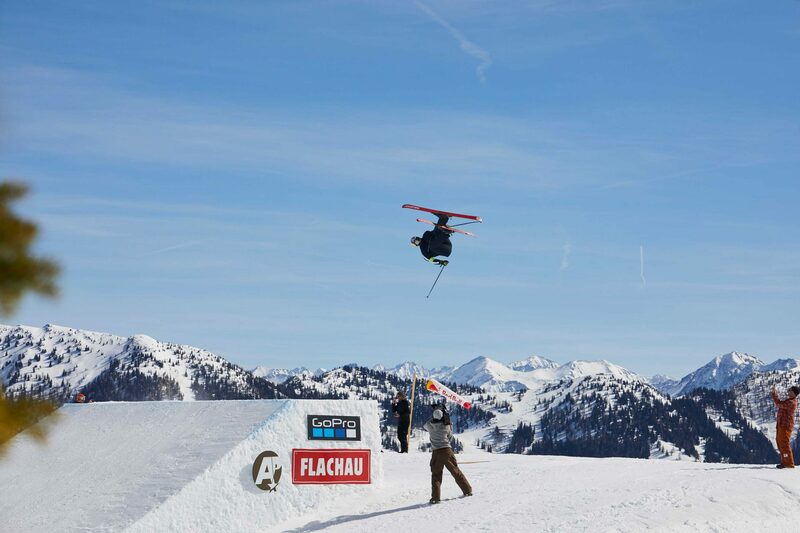 As of Saturday March 16, the Spring Battle presented by Flachau is officially underway at Absolut Park! 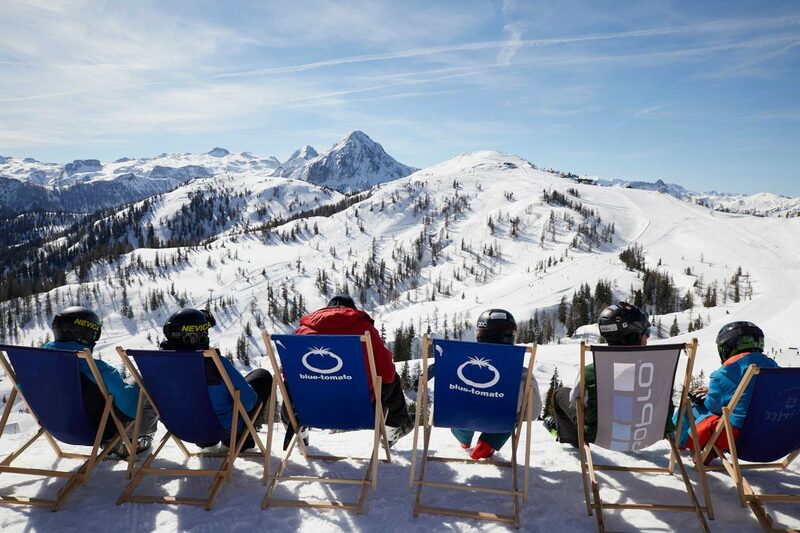 Until 20 March, a mix of top stars and local talent, both freeskiers and snowboarders will be throwing down in Absolut Park, looking to land their best possible run on video while enjoying a week of prime shredding in one of the Alps’ best snowparks. 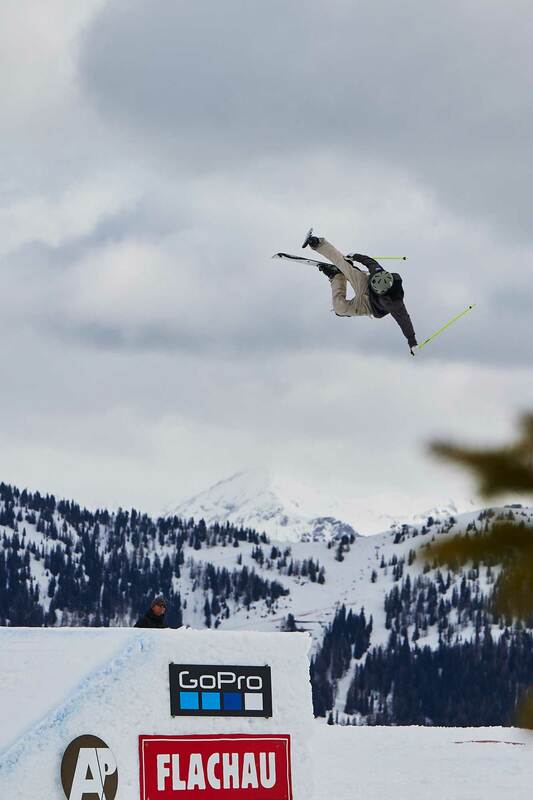 The Spring Battle has rightly earned its position as one of the most respected freestyle events in the Alps. To begin with, Spring Battle isn’t your “standard” slopestyle contest, but rather a week-long video contest, during which competitors have several days get their best single run down on video. 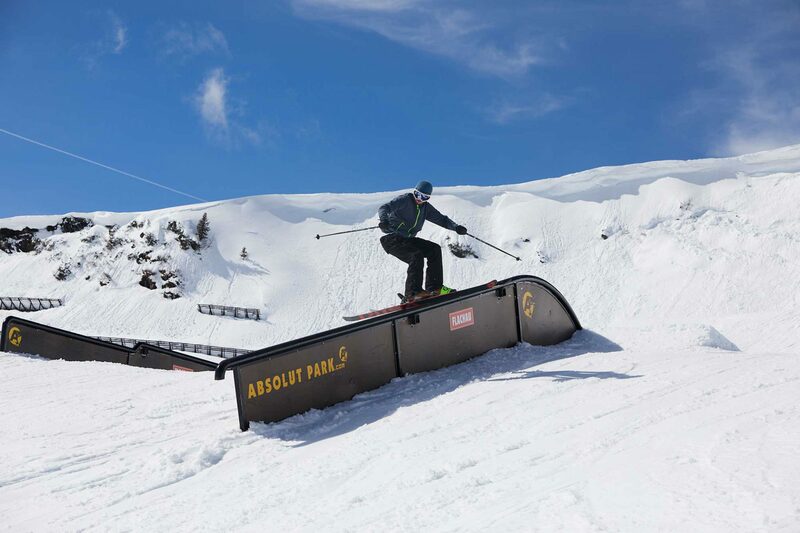 This gives riders a better chance at putting down their best possible line, while giving everyone involved a week full of action-packed fast laps on Absolut Park’s awesome spring terrain. Two contest days are already in the bag, with sunny weather on Sunday giving competitors an early chance to get their runs down in good conditions. 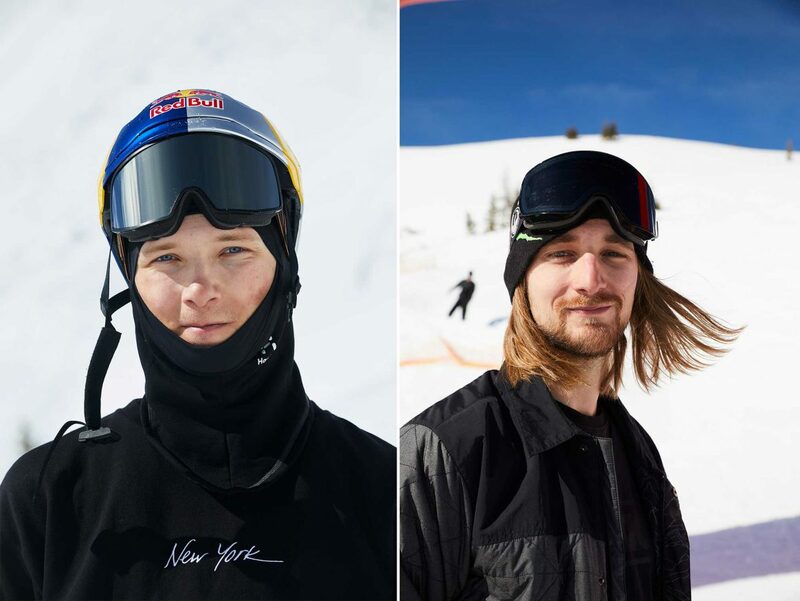 Skiers in the mix this year include Oscar Wester, Daniel Hanka, Sarah Hoefflin, Margaux Hackett, and Johanne Killi as well as Absolut Park team riders Sam Baumgartner and Dennis Ranalter. 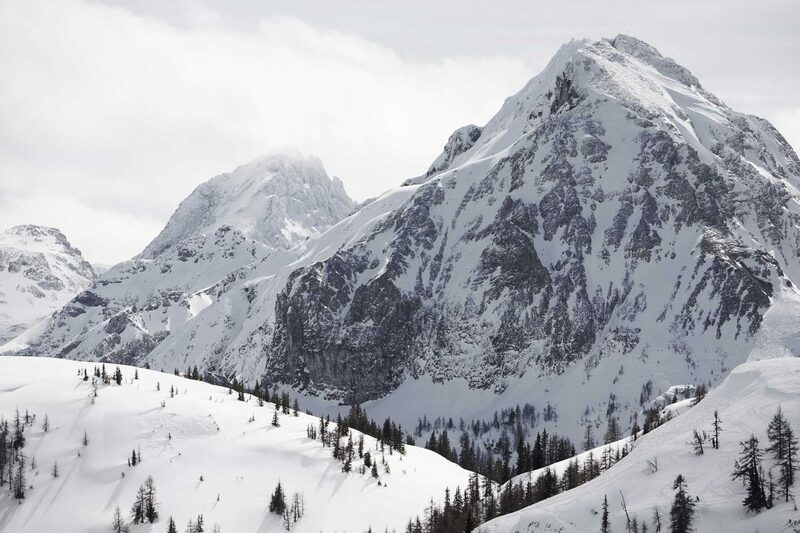 Spring's in the air, but some fresh snowfall kept things feeling wintry over the weekend. Okay, maybe not completely wintry. Some of the best Spring Battle action goes down in Absolut Park's big jump line. In this mix this year: Oscar Wester and Daniel Hanka. It's hard to take good pictures of double corks like this one from Oscar. We'll be waiting for the video. It’s easy to stay up-to-date on the haps at Spring Battle with the daily Epic Spring Battle News show, airing each night at 7:00PM (CET) on the Absolut Park YouTube channel. Here you can catch awkward livestream performances from top athletes as well as clips from the day’s action in the park. Sunday's installment of the Epic Spring Battle News, keep an eye on the Absolut Park YouTube channel for more daily updates. Want to get in on the action too? The GoPro Challenge opens this year’s Spring Battle to everyone. Just film three clips in Absolut Park and post them on Instagram with the hashtags #gopro and #springbattle until March 22.